Red Cross national and international disaster response teams are readying response plans as Tropical Cyclone Enawo makes landfall in north-east Madagascar. Enawo struck near the city of Antalaha this morning local time as a Category 4 Tropical Cyclone, making it the strongest storm to hit the country since Tropical Cyclone Giovanna in February 2012, and comparable to Tropical Cyclone Ivan in 2008 which killed nearly 100 people and displaced 190,000. The north east of the country had already suffered two days of heavy rains before the cyclone made landfall, forcing the evacuation of some communities. In advance of the storm, the Malagasy Red Cross Society activated National Disaster Response Team and deployed more than 500 volunteers in and around Antalaha to warn communities and to help them prepare. The Red Cross will be able to immediately draw on pre-positioned emergency supplies for 500 families in the north-east, along with shelter and water, sanitation and hygiene kits for 1,600 families in the capital Antananarivo. 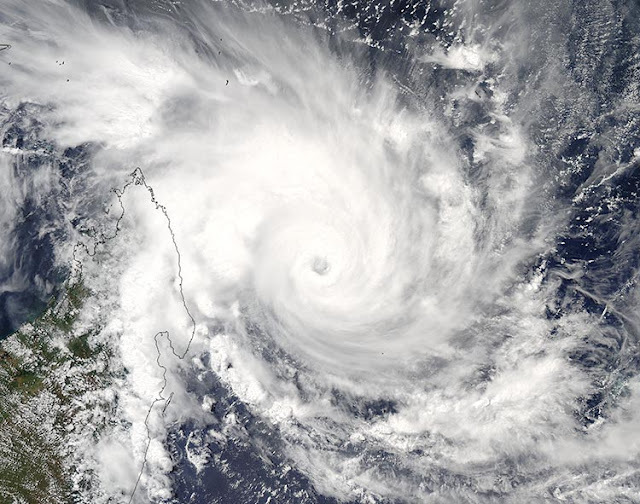 "Tropical Cyclones are not unusual for Madagascar at this time of year. However, the severity of Enawo is troubling. If it maintains its strength and performs as predicted, there could be significant wind damage across the island, and we could be facing serious floods and landslides," said Getachew Taa', the Head of the Country Cluster Support Team for East Africa for the International Federation of Red Cross and Red Crescent Societies (IFRC). The Red Cross and authorities fear that, under a worse-case scenario, more than 700,000 people could be affected by the cyclone. Local Red Cross efforts are being supported by the French Red Cross' Indian Ocean Regional Intervention Platform (PIROI) based on Reunion Island to Madagascar's east. PIROI has stand-by emergency resources for an additional 3,000 families, as well as highly trained disaster experts that can deploy to support whatever humanitarian response is needed. The International Federation of Red Cross and Red Crescent Societies (IFRC) is working with partners in the region and in Madagascar to ensure that resources, including cash, are available immediately should a major response effort be needed.